These Eggnog Cookies with Eggnog Cream Cheese Frosting are your favorite holiday drink in cookie form! These Eggnog Cookies are so crazy soft, bursting with eggnog flavor with the most luscious frosting. 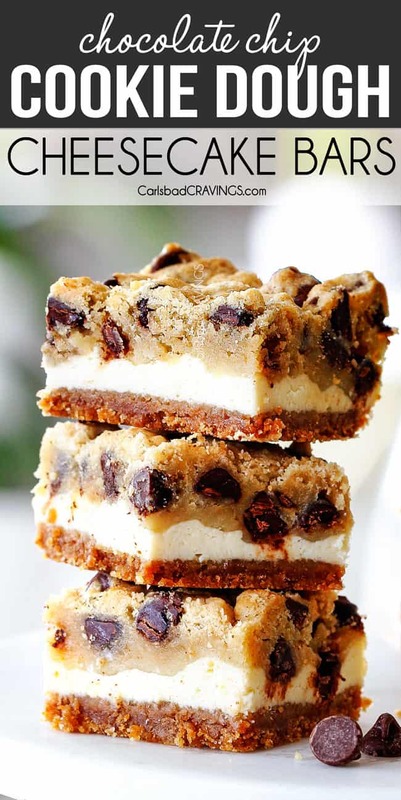 They are destined to become your new favorite melt-in-your-mouth holiday cookie! Merry almost Christmas! Is your home filled with the aroma of warm winter spices of cinnamon and ginger? Is your fireplace lined with stockings? Is your Christmas tree filled with ornaments new and old? Is your belly full of eggnog? Have you stuffed your face with holiday cookies so scrumptious you want to devour them year round? Well, I can at least help you with the last two 🙂 I am a huge eggnog fan, but I can assure you, I had friends gobbling up these Eggnog Cookies who don’t even like eggnog. The second I spot eggnog lining the grocery store shelves November 1st, I giddily purchase my first carton, and buy it all through New Years because eggnog = a mug of holiday cheer. 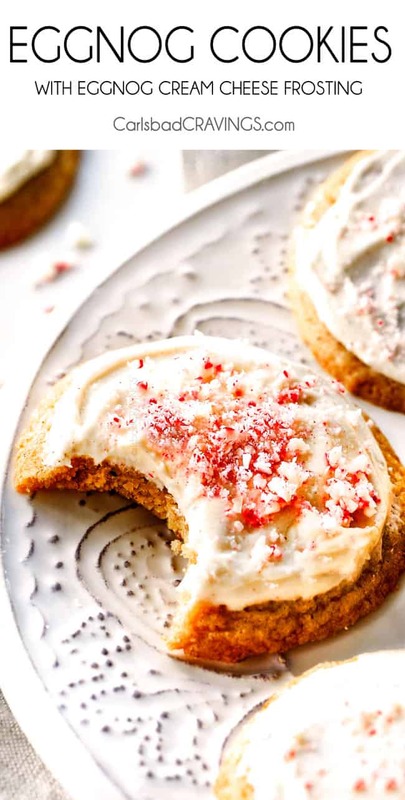 So if you are looking for more holiday cheer, and equally important, the most delicious cookie you will make all season long, then get giddy for these crazy soft and chewy Eggnog Cookies! 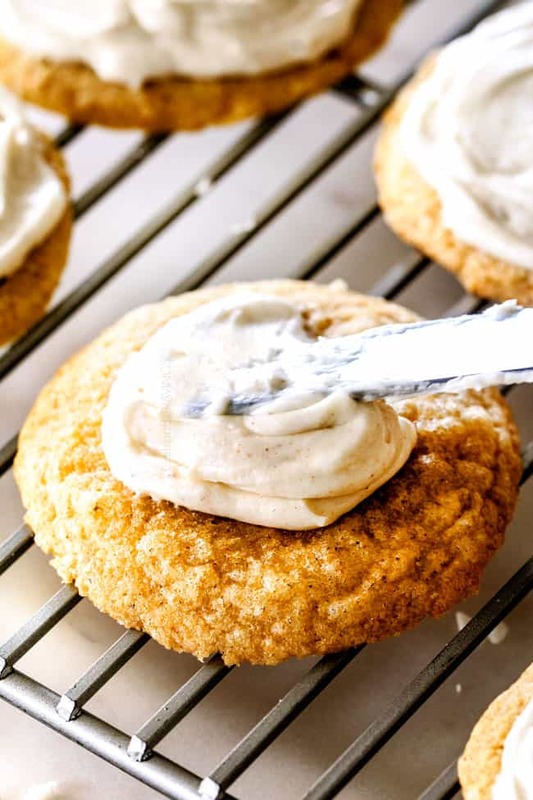 These Eggnog Cookies are one of the softest cookies you will ever sink your teeth into and guaranteed to be a new family, neighbor, friend favorite along with already beloved Gingerbread Whoopie Pies and Gingerbread Brownies with Eggnog Cream Cheese Frosting. Thank you Weston, thank you. And I can pretty much guarantee these will be your new favorite holiday cookie as well! 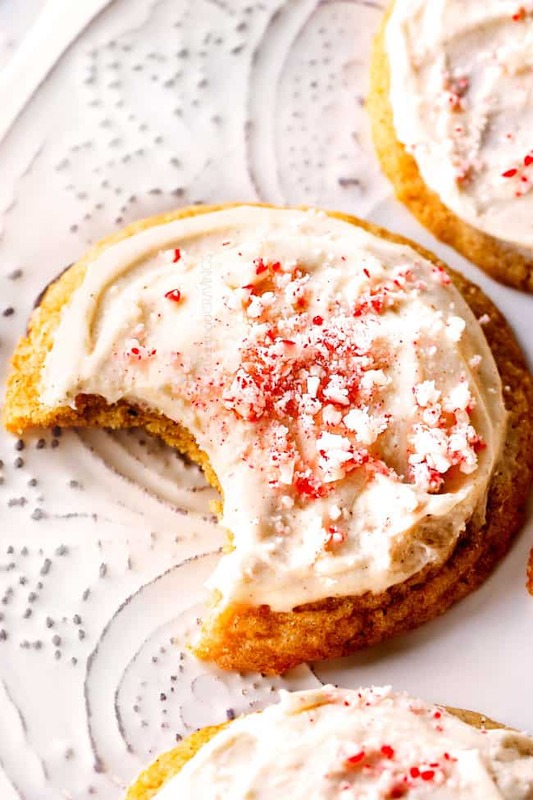 What makes these Eggnog Cookies truly taste like eggnog in cookie form? There is eggnog in both the cookie dough and the frosting. We add 2 cooked egg yolks to the cookie dough for a punch of flavor. We spice our Eggnog Cookies with nutmeg, cinnamon, cloves and ginger for a round subtle holiday flavor through and through. Finally, the tender Eggnog Cookies are generously smothered with silky Cream Cheese Frosting spiked with eggnog, vanilla, nutmeg and cinnamon for another layer of can’t-stop-eating-deliciousness. Preheat oven to 350 degrees F. Line baking sheets with parchment paper or nonstick liner and set aside. Whisk together all of the Dry ingredients in large bowl. Set aside. Using a stand mixer fitted with paddle attachment, beat butter, sugars and cream cheese until light and fluffy, 2-3 minutes. Beat in whole egg just until combined. Add egg yolks, vanilla extract and eggnog and beat just until combined. With mixer on low, slowly add flour mixture and beat just until combined– don’t overmix! Drop dough by the heaping tablespoon at least 3 inches apart on prepared baking sheets (you will need to use a cookie scoop as dough is very wet/sticky). Bake 12-15 minutes or until tops are set. Let cool for 3 minutes then transfer cookies to a wire rack to cool completely before frosting. Beat butter and 1 1/4 cups sugar with handled mixer at medium speed until light and fluffy, about 1 minute. Increase speed to medium-high and add cream cheese, 1 piece at a time, beating thoroughly after each addition. Add vanilla, nutmeg, cinnamon and eggnog and beat to combine. Beat in remaining 1 cup powdered sugar. Add additional eggnog, if needed, a teaspoon at a time to reach desired consistency. Evenly spread frosting on cooled cookies. Garnish with crushed candy canes if desired. So if you are looking for a holiday cookie to bring to all your parties, neighbors and friends, then this is the one. Because eggnog in cookie form = holiday cheer in every bite after bite after bite…Merry Christmas! 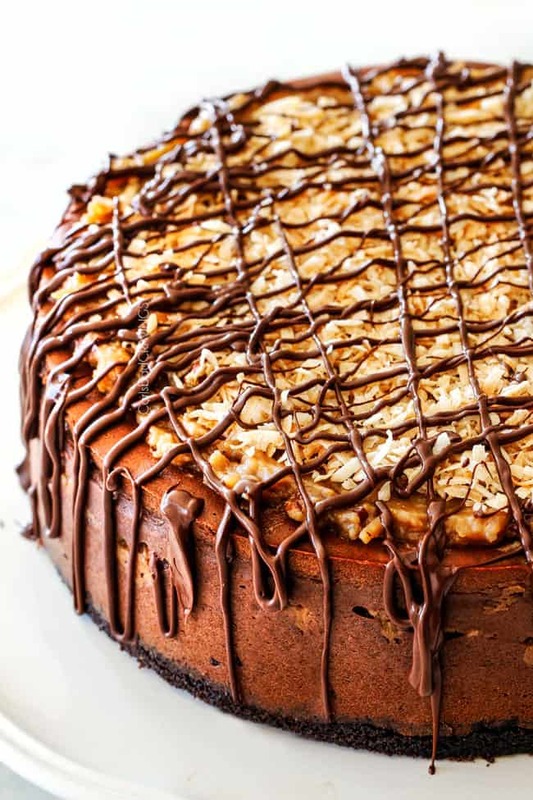 Looking for more Holiday Recipes? 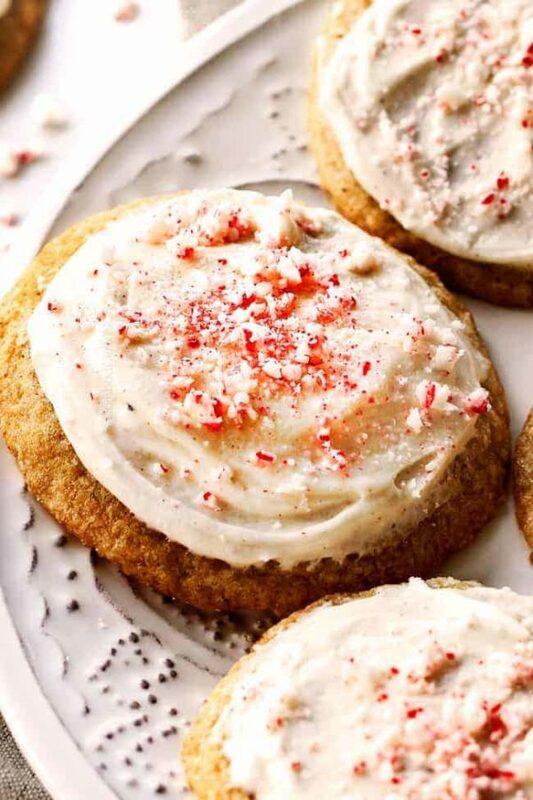 Want to try these Eggnog Cookies with Eggnog Cream Cheese Frosting? Pin them to your DESSERT, CHRISTMAS or COOKIES Board to SAVE for later! 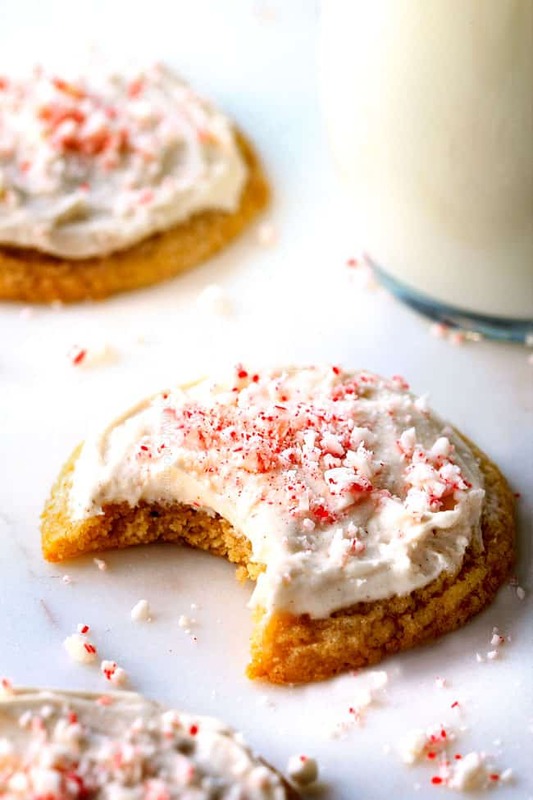 These melt-in-your-mouth Eggnog Cookies with Eggnog Cream Cheese Frosting are your favorite holiday drink in cookie form! They are so crazy soft, bursting with eggnog flavor with the most luscious frosting. They are destined to become your new favorite holiday cookie! *Do NOT microwave butter or cream cheese. Allow to soften at room temperature. How important do you think the hard cooked egg yolks are in this recipe? Do you just do a hard boiled egg and use the yolks? Yes, that’s exactly right – 2 yolks from 2 hard boiled eggs. I think they are important to the true eggnog flavor so it just depends on how much you care about that. Happy holidays!